Castlevania: Curse of Darkness is one of the not so popular Castlevania games and a bit unusual for the series as well since the main protagonist Hector was not a Belmont, not fighting with a Whip and without his talent to use the so called Innocent Devils ( summonable demons which help Hector) he was really weak compared to the other Castlevania main protagonists. 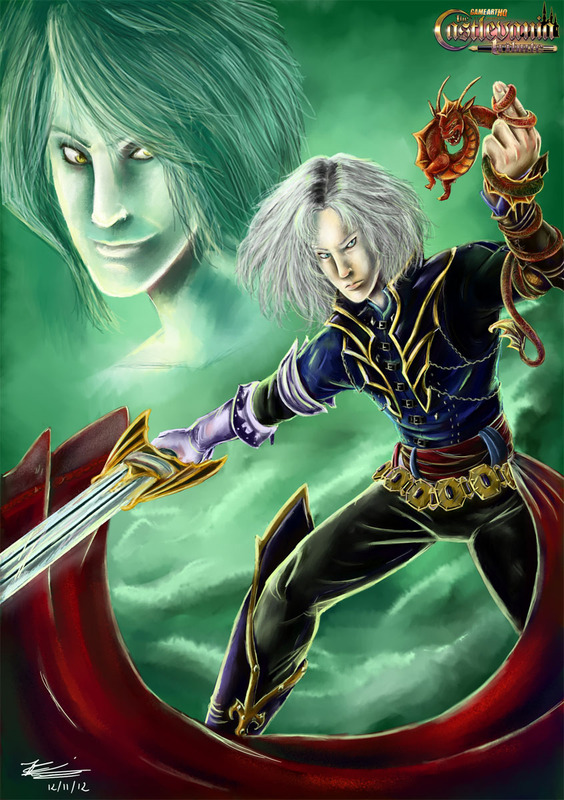 Ishtar_Dragon from Argentina drew the rivals and enemies Hector and Isaac here with MyPaint and Gimp 2 to contribute our second Castlevania: Curse of Darkness entry in our Castlevania Art Tribute. I strongly recommend to enlarge the image, on dA an even bigger version is available too!